Anyone hear that Wump in the Woods? 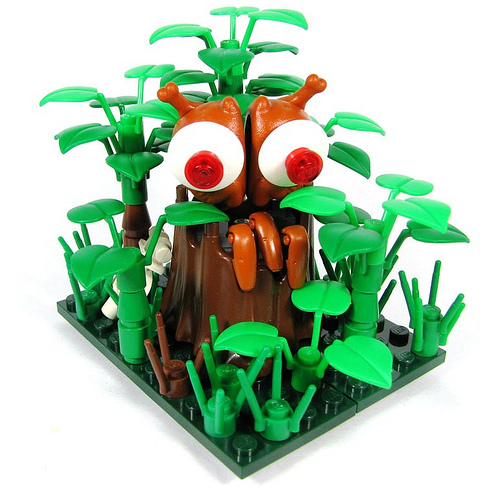 This is one of my favorite MOCs of all time, period. The phrase “NPU” doesn’t even begin to describe how creepily awesome this is. Ha, how hilarious! Very clever use of parts. I agree with Will. Who would have ever thought battle droid heads and turkeys would make an unbelievably creepy-looking monster? Awww… but he’s so cute! You’ve scared him! !